When Dean Corbett, Shawn Ward and their partners took over the former Brewery space at 426 Baxter Ave. (502) 365-2505, their initial intention was to spiff up the interior a bit and serve upscale bar food. But it soon became apparent that Chef Ward’s heart was still with the haute cuisine style he had developed in his almost two decades at Jack Fry’s. So, the “slight makeover” that was the original plan morphed into a complete re-model, which, after some anticipation, is finally done. With the motto “Regionally Inspired. 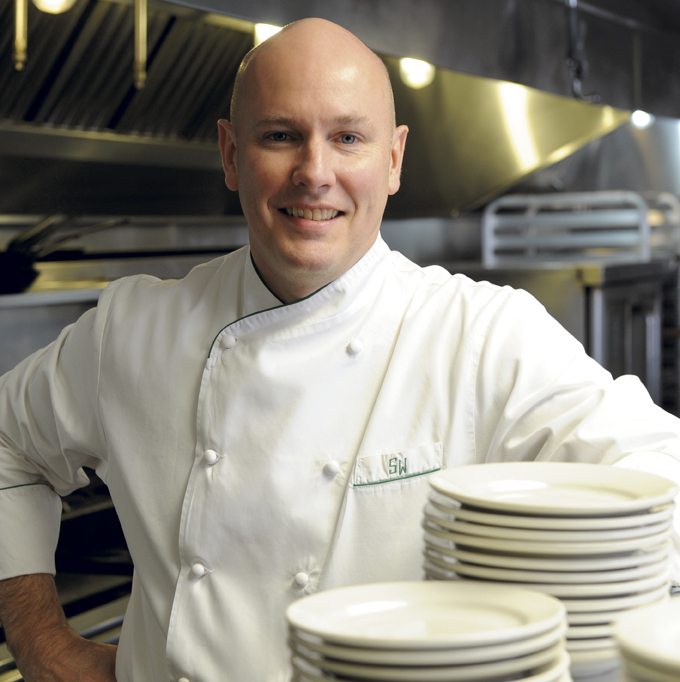 Distinctly Southern,” Chef Ward’s first menu is bold and full of interesting food ideas. He has jumped on the hay wagon, with hay-smoked beets, and continues kale’s run as the green du jour with a dinosaur kale salad. Also on the starter side of the menu will be scallop ceviche served with persimmon puree, gnocchi with duck and a Worcestershire gastrique, “Chicken & the Egg,”–a soft-boiled egg and confit chicken wings and–how could it not be?–shrimp and grits. The first menu posted has 6 vegetarian entrée choices, ranging from grain salad with farro, kasha, oats, pumpkin seeds and dried cranberries, to ratatouille, to gnocchi with root vegetables and to a rice and vegetables dish that will likely change with the seasons. One of the highlights of the menu is a country ham tasting platter, with six varieties, from Virginia and West Virginia as well as from Kentucky. The dessert list looks like fun. Apple tarte tatin, creme brulée (made with maple syrup), and olive oil cake have a continental provenance, but two All-American confections stand out: “s’mores,”–a Graham cracker cake with toasted marshmallow ice cream; and chocolate milk & cookies–chocolate pots de creme and chocolate espresso macarons. Ward 426 will be serving a lunch menu (Monday – Friday) as well, one as unusual but as inviting as the dinner menu.